The debt ceiling and budget impasse in the Nation’s Capitol continues. The carbon dioxide levels in the atmosphere are rising and Wall Street is dropping. The share prices of Kior, Amyris and Solazyme are still way to high relative to their thermodynamic value but this week took the wind out of these bio fools’ stock. I needed a new TV and Best Buy has a large collection of TVs so off I went to the big box store to find a TV. 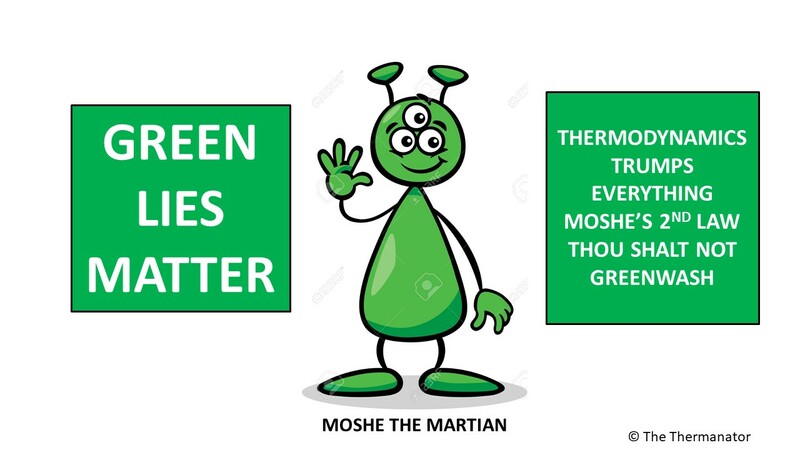 The Green Machine knew he needed to buy a LED side lit LCD TV as I have been writing for at least a decade that LED is the greenest way to emit light. I found a house brand LED LCD 1080 p 40 inch TV with 4 HDMI inputs and one PC input for $499. I bought this made in China TV. 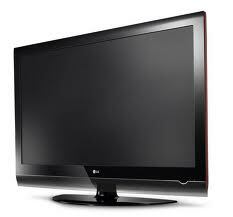 The TV only uses 0.7 watts in standby mode and uses 130 watts for full surround sound audio and high definition video. This is an amazing power efficiency for such a large TV. I once wrote that by recycling the aluminum in a single coke can about 270 watt hours of electric energy can be saved. Hence as I am a religious recycler I can claim to watch two hours of TV without carbon emissions for every coke can that I recycle. I can drink a six pack and watch 12 hours of TV and feel as innocent and carbon free as Al Gore who buys carbon credits for his personal jet travel. Aluminum cans weigh about 15 grams and require 300 watt hours of energy to yield them from mined Bauxite. The AONE lithium ion battery that our department of entropy has so highly touted with over $500 million of loan guarantees has a paltry energy storage density of some 100 watt hours per kg. Recycling aluminum saves 90% of the energy needed to yield the can so I can honestly say that by recycling a kilogram aluminum I can save the planet about 18,000 watt hours of electric energy. I will need 180 kg of lithium ion batteries just to store this quantity of electricity. I know a prof at Purdue University who is making batteries out of recycled aluminum. A noble undertaking but the sad truth is that electric power is not the high value use of the waste aluminum, simply recycling the aluminum for reuse is the valuable use. In California, I can get a $1.50 per pound of recycled cans or about $3 per kg. I buy power at 12 cents per kilowatt hour and if I recover 90% of the energy in a kg of trashed aluminum I will only save $2 of electricity. It is a lot easier and more profitable to simply recycle the aluminum. All the states should impose a recycle deposit on aluminum as California has done. This week the US reported anemic economic growth. Iron treats anemia not aluminum. I suggest that the US treasury eat red meat cooked in an iron skillet to help accelerate economic growth. The skillet can be made from pig iron with all the pork going on in the Nation’s Capitol. The apex of the Washington Monument is made from Aluminum. Back in the 1800s aluminum was more valuable than gold and the leaders of that time spent a boat load of money for the aluminum apex. 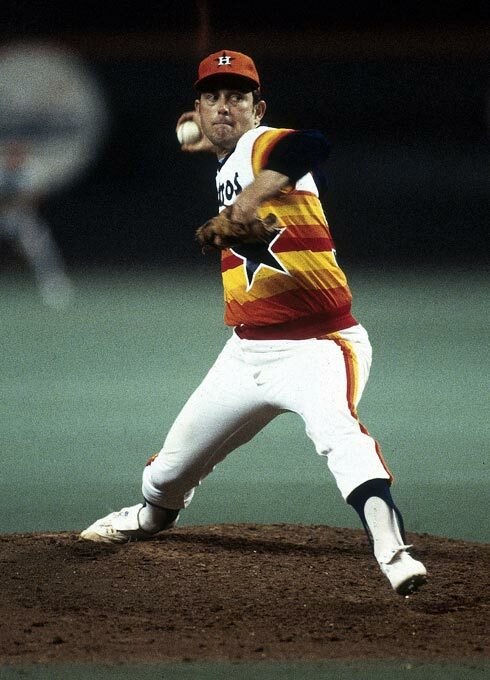 They could have saved money using a gold apex at the time. Of course had they placed a gold apex on the monument it would now be worth a bunch and the aluminum apex that they did place is almost worthless. Just goes to show how dumb politicians in DC have always been with the nation’s money. P.S. the symbol for aluminum is Al and Mr. Gore did not invent it! The Space Shuttle is on its final mission. NASA has announced the end of the Shuttle program. This program had 135 missions with two very unsuccessful missions that ended with the fiery death of their crews. This blog is in memorial to those astronauts that perished. Space shuttle Atlantis astronauts brought with them a historic U.S. flag that flew aboard shuttle Columbia on America’s first shuttle flight, STS-1 in 1981. Commander Chris Ferguson will present it to the station crew as a symbol that the United States is in space to stay, with astronauts permanently living and working aboard the station for many years to come. Ferguson said the flag will remain at the station until the next crew launched from the United States arrives at the outpost. That crew will bring the flag back to Earth, until it once again is carried into space with the first crew to launch from the United States on a journey of exploration beyond Earth orbit. 30 years have passed since the STS 1 mission started the Shuttle program. I remember that day well. I was in awe of the lift off that I witnessed on TV in Pennsylvania. I was working on hydrogen at that time and the company that I had worked with, Air Products and Chemicals, had the contract to supply the liquid hydrogen for the stage 1 rockets used to launch the shuttle, so I had a personal stake in the successful launch. Each launch needs 384,071 gallons or 227,800 pounds of liquid hydrogen. Each pound of hydrogen gas at atmospheric pressure and room temperature occupies 191 standard cubic feet. This quantity of hydrogen can inflate and fill 87 million latex balloons like one sees at a birthday party (11 inch diameter balloons). This is a lot of hydrogen. The energy content in a pound of hydrogen is about that of half a gallon of gasoline so the hydrogen used in a launch of the shuttle is about equal to the energy in 115,000 gallons of gasoline. NASA actually has to buy significantly more liquid hydrogen for each launch as much of the hydrogen boils off as liquid hydrogen is an extremely low temperature cryogenic liquid. 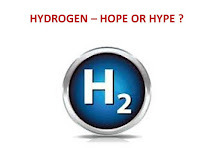 NASA reports that they purchase 372,800 pounds of hydrogen for each launch. Therefore 145,000 pounds of hydrogen simply boils off before each launch. This vapor escapes into the atmosphere where it does harm to the ozone layer. In 135 launches 19.5 million pounds of hydrogen have escaped into the atmosphere. NASA pays air products about a dollar fifty cents a pound for the hydrogen so the boil-off wasted about $30 million in total over 30 years. This is a drop in the bucket as compared with the total cost of the Shuttle Program that is estimated to have cost $200 billion. I certainly do not think we gained $200 billion of value of inventions from the shuttle program and much of it was for show. The lives lost were also not worth the program. I am sure the folks at Air Products and other contractors who sold NASA a bunch of stuff for the program think the program was worth over $1.5 billion per mission. A friend of mine named Peter told me this week that the Shuttle’s physical dimension were limited by the width of a horse’s posterior. This is because the booster rockets were fabricated in Utah and had to travel by rail to the launch pad in Florida. The width of the rail set the size of these booster rockets. The width of the rail on US railroads was set by the width of the axles on the carriage. This axle width came about from Roman times when chariot axles were given their dimension based on the width of posteriors of two horses side by side drawing the chariot. By this logic the Space Shuttle was limited in scope by the width of a horse’s behind. I am sure there were other constraints but this is probably the limiting constraint. On second thought the program may have been limited by the brain power of a rocket scientist who is far smarter than me and had money to burn. The 4th of July is my favorite holiday. It stands for independence and the rights of we the people and takes us back to a time long before the military industrial complex ruled the nation. This 4th of July was greener than many previous years as many municipalities are flat broke and could not have fireworks displays. Firing off fireworks is a thermodynamic exothermic event with much resulting entropy from the oxidation of metals, carbon and sulfur. The sight of fireworks is awe inspiring and even the Green Machine loves to watch rockets, mortars, and Catherine Wheels being fired off in a massive crescendo in the grand finale. The marching songs of John Philip Souza, the taste of hotdogs and a soda, and watching fireworks on July 4th cannot be beat by anything, except perhaps the sight of a Hummer being dismantled. Austin Texas cancelled their July 4th fireworks based on the severe drought and fire danger of fireworks. I guess the Texans could not say their capital city is broke. Chicago cancelled the city funded fireworks display and let the Navy Pier Authority organize the only fireworks in the Windy City. Fireworks were invented by the Chinese about 1,400 years ago and the love of a fireworks display is universal. Chemicals impart color to fireworks. Red come from either Strontium or Lithium. I always said lithium ion batteries are red not green. Blue comes from copper, yellow from sodium, gold from iron, white from magnesium or titanium, and green from barium. Now that we know barium is green perhaps our department of entropy will fund a barium ion battery. Talking of barium it is also used in an enema to X-ray the large intestine. I suggest that some of the civil servants at our department of entropy be given one of these enemas so they can get a brain washing and start thinking straight. More seriously barium is a metal that has atomic number 56 in the periodic table of elements. Barium got its name from the Greek word for heavy. It is highly reactive with air so it is also used in vacuum tubes and cathode ray tubes as an air scavenger. No doubt the transistor and LCD displays are far greener than vacuum tube technology and are allowing more barium to be used in enemas as sales of these archaic devices are dropping. Barium oxide is sometime used in fluorescent tubes as a coating on the electrodes as this oxide facilitates the release of electrons. This use adds to the greenness of barium. Barium peroxide is used as a tracer that lights up green in ammunition. All in all barium does serve some purpose other than making fireworks green colored. The salts of barium that impart the green color to fireworks are barium nitrate and barium monochloride. Barium Sulfate is the salt used in the enema. I hope your pharmacist knows their chemistry and does not mistake the nitrate for the sulfate. I have not performed the reaction of methane with barium nitrate even in a lab. Barium sulfate is also used in drilling mud in the oil and gas industry. Barium is not my favorite element but it is right up there so to speak.